The Venom movie met with mixed reviews. Fans of the character loved it, everyday superhero moviegoers liked it, mostly everybody else hated it. What has this meant to prices? Well, this very common book was over-inflated before, and now the air is being let out of the balloon, big time. It's time to take your medicine on this book and get your money out if you still hold one. 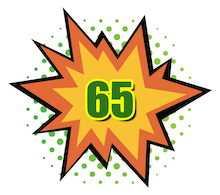 On the flipside, it's a great book to buy raw and certify, as long as you can accurately grade comic books and be confident of getting at least an 8.0. Signature Series Stan Lee autograph comics might be different. This was always a popular book with his signature on it. I'll look at prices for those separately. CGC 9.2: $850 (!!) 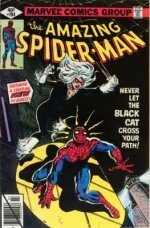 Lee/McFarlane -- more than 9.4 price! 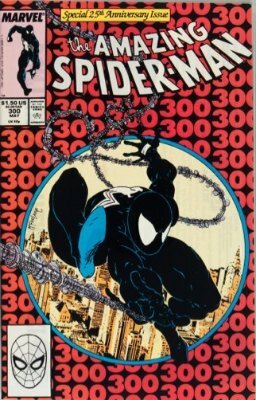 There are dozens of combination signatures with Lee and other members of the team which worked on ASM #300. These include David Michelinie, Neal Adams, John Romita Senior, Tom DeFalco and Jim Salicrup. Signature Series books are a minefield and very hard to find price comparisons for. 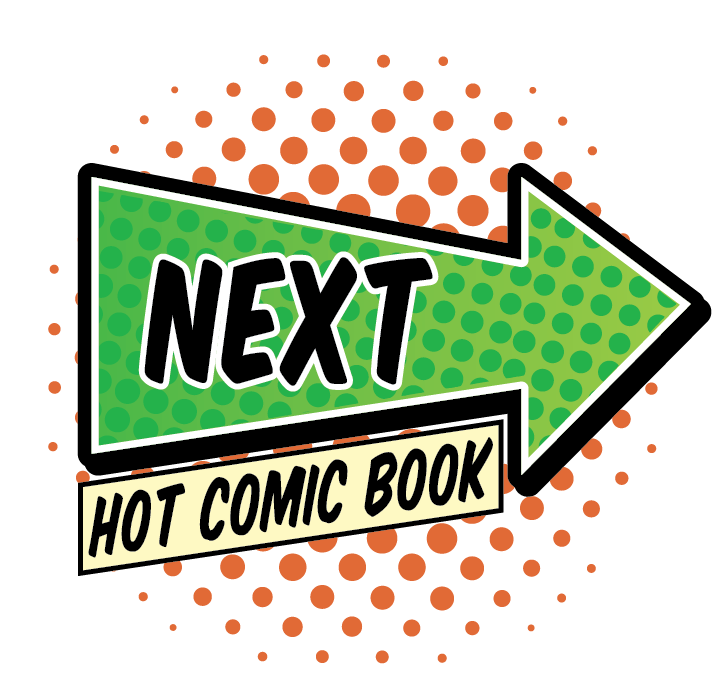 2018 MARKET UPDATE: VENOM, CARNAGE, HOT COMICS MADNESS! There is a ceiling on this book, and the reason is simple. It's common as dirt. There are more than 12,000 copies of this book in the CGC census! That is a great indication of its easy-to-find late 80s status. No less than 767 are CGC 9.8. If you want one, you will find one. It's just a question of how much to pay. With a few exceptional crazy sales around the time of the movie announcement, CGC 9.8s have bumped against the glass ceiling at $2,000. 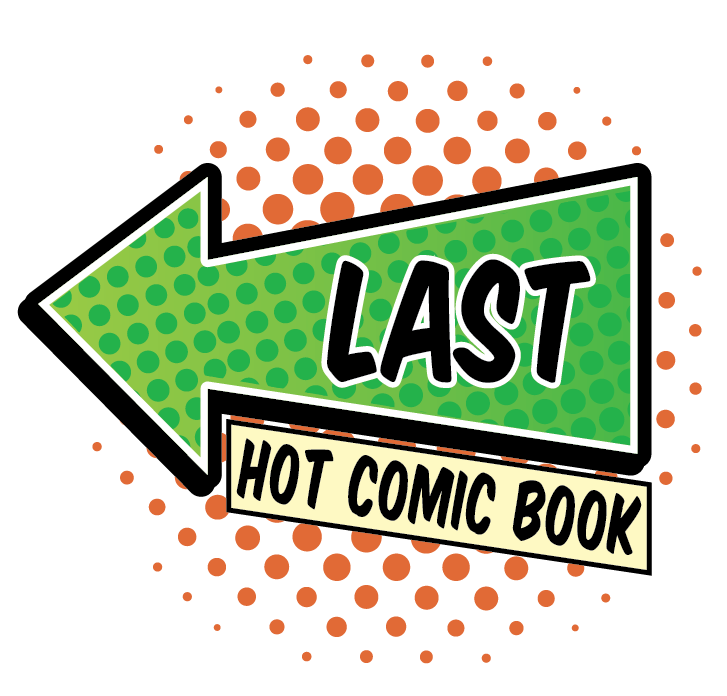 We cannot recommend CGC 9.8 as a buy at this point, but it belongs on the hot list, and if you have a copy, it is probably still a hold, at least until the Venom movie comes out. CGC 9.6 copies might still have some upside. Sony shelved one movie project, and announced Venom as their 2018 superhero movie release. Prices, predictably enough, went berserk overnight, as speculators and investors piled into this already hot book. 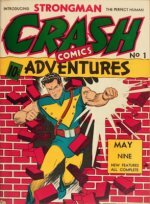 While Stan Lee continues to astound observers with his longevity and ability to continue raking in cash for signing comic books, eventually he WILL expire. 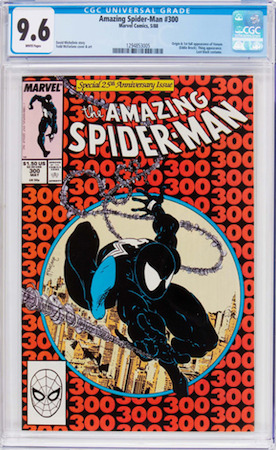 Copies of ASM 300 signed by Stan Lee in a Signature Series holder are particularly popular when combined with Todd McFarlane's signature. Venom is one of the hottest properties in the Spider-Man universe right now, and it's understandable that his first full appearance is on the Hot 100 list. Movie rumors won't leave this character alone. Sony and Marvel have agreed to work together on the second Spider-Man movie reboot, and along with Carnage, and the various Symbiote (black costume) first appearances, there are few affordable books we could recommend more highly.